I realized the other day that I still have several shots to process and share from my trip to Washington DC a while back (you can find all the ones I have previously posted on the Category sidebar, or by clicking here). I have so many photos in the library now that as I move on from one place to the next, there are often forgotten gems in there just waiting to see the light of day! 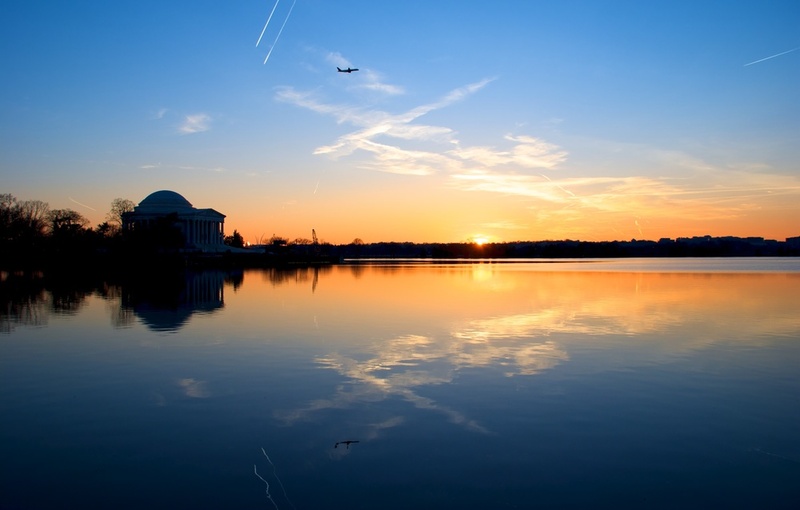 So here's a sunset in Washington DC that I captured while walking near the Jefferson Memorial. The light was just right, and there were these interesting clouds hanging around...and then a jet flew by. Click!